Installed cost ratios are based on a 100 m (400 ft) DN 50 (2") pipe installation. Engineering ToolBox, (2007). 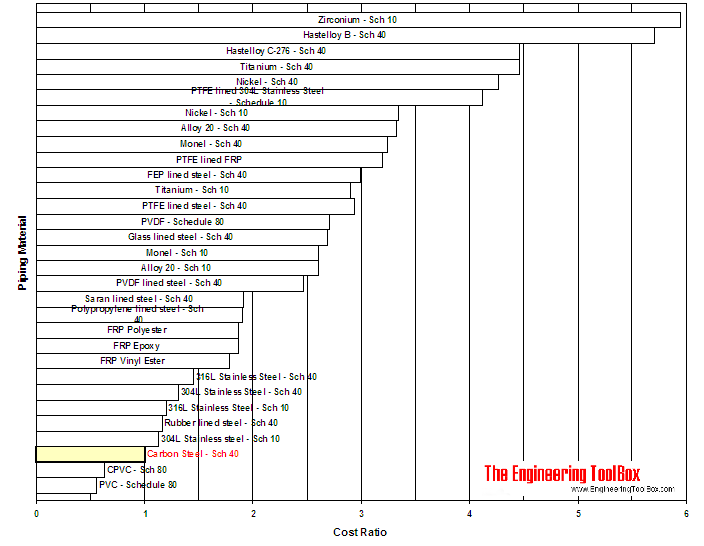 Piping Materials and Cost Ratios. [online] Available at: https://www.engineeringtoolbox.com/piping-materials-cost-ratios-d_864.html [Accessed Day Mo. Year].